Happy Weekend!! So hopefully most of you know that we have two shop fronts: our main website where we sell our pretty retro vintage potions www.margarita-bloom.com and now we have another shop at a very cool marketplace called Storenvy where we not only sell beauty potions but fashion and accessories too here margaritabloom.storenvy.com. 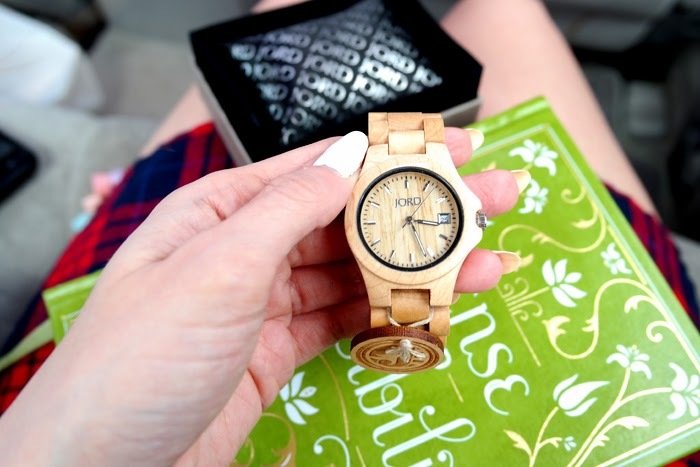 A new addition to my collection of baubles is this gorgeous JORD Ely Maple Wood Watch that you see me wearing in these photos. I'm quite in love with it! JORD is actually Swedish for "earth, soil, land ". It's made from sustainable sourced wood and has a modern yet vintage vibe to it. What do you think of it? Would you get one? I'm SO happy I was able to collab with this lovely company...I've been wearing this stylish watch everywhere I go. Out and about on a chilly windy day wearing our Suki Set and JORD watch! Ha! I took like 50 photos and this was the only one that came out without my hair whipping all over the place. Sheesh! A few closeups of my gorgeous JORD watch. One last thing that I wanted to touch on was customer service. It's very important to me as I have my own company and I try to provide the best customer service I can for my customers so I was thrilled when working with JORD that they were so courteous and even offered to have my watch sized for me so it would fit! That made me pretty darn impressed I can tell you. 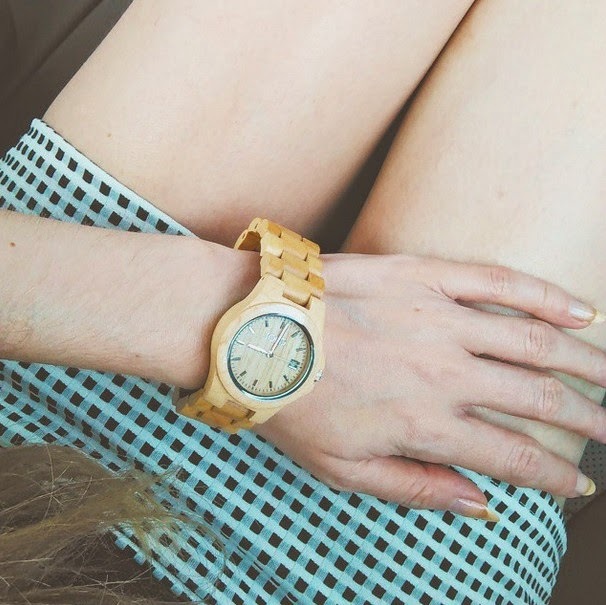 If you lovely peeps want to get one you can get it via their website and they have many other wood watches that you can choose from too. 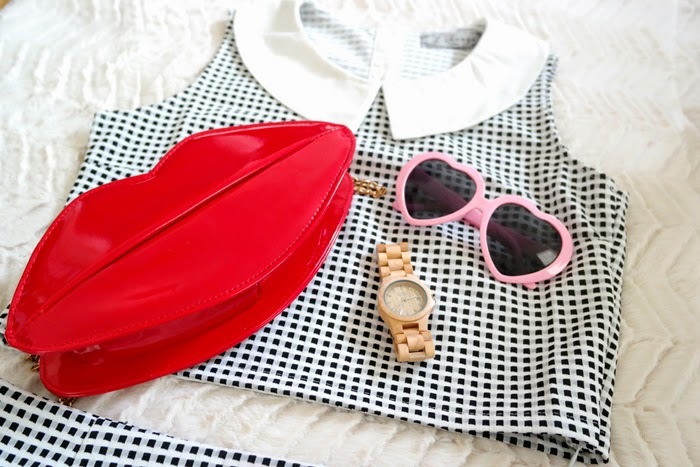 And don't forget you can get our Suki Crop Top and Skirt Set here as well as our Hot Lips Purse and those pretty Pink Heart Sunnies in our storenvy shop. Amazing,I'm in love with this look,its one of my favorites styles and you are so beautiful,xoxo.